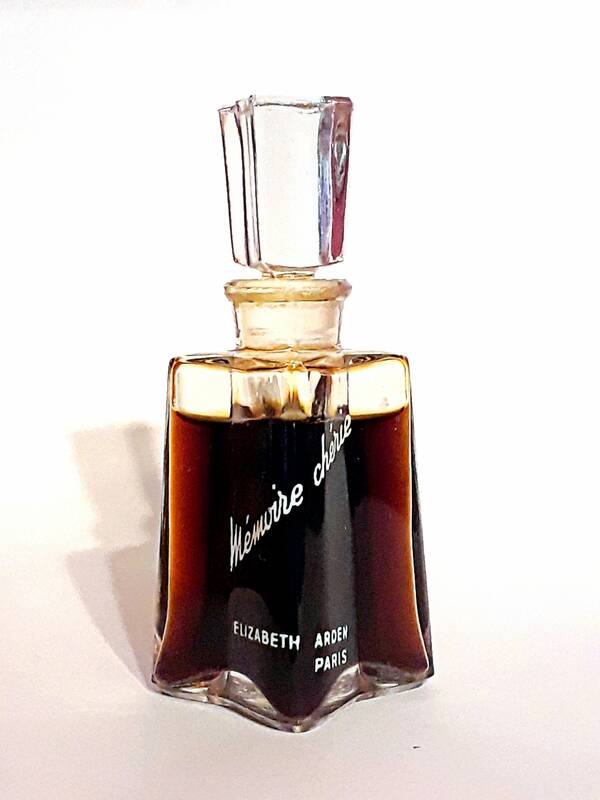 Vintage 1950s Memoire Cherie by Elizabeth Arden 0.5 oz (15ml) Pure Parfum Splash Miniature Mini Perfume. 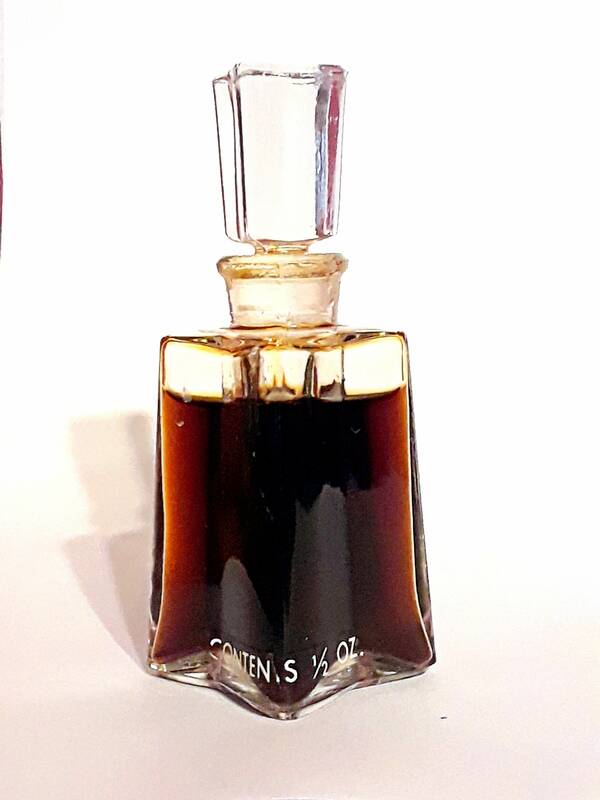 The bottle is about 90% full of the original perfume. The perfume is old and no longer fresh. Memoire Cherie by Elizabeth Arden: launched in 1956. Memoire Cherie was such a success that by 1960, it was awarded the grand Coupe D'Or award by the Comite du Bon Gout Francais. 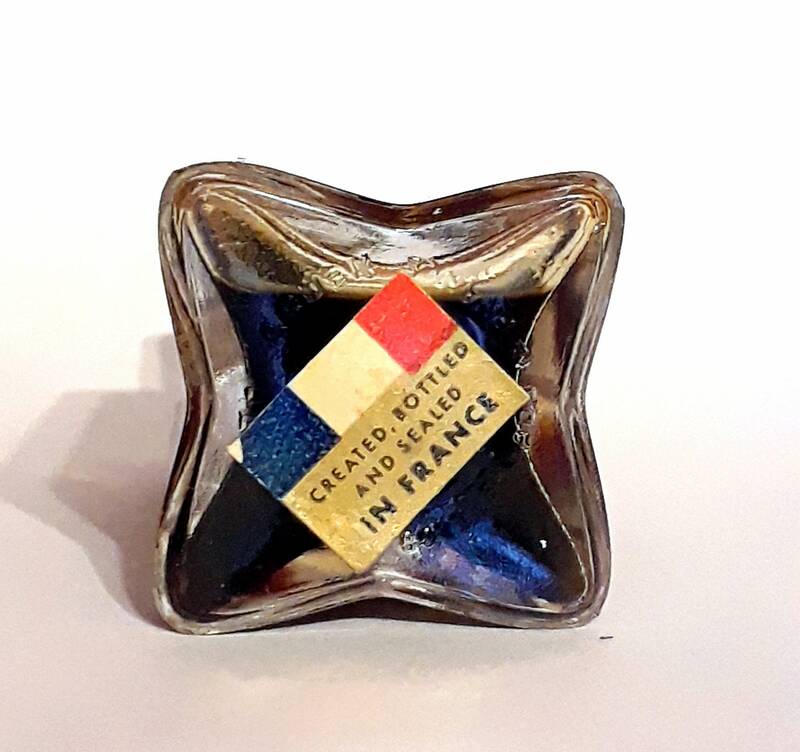 In 1969, Fete by Molyneux was awarded the Coupe d'Or du Bon Gout Francois, a prize bestowed by a panel who select each year an article created in Paris that symbolises French good taste. 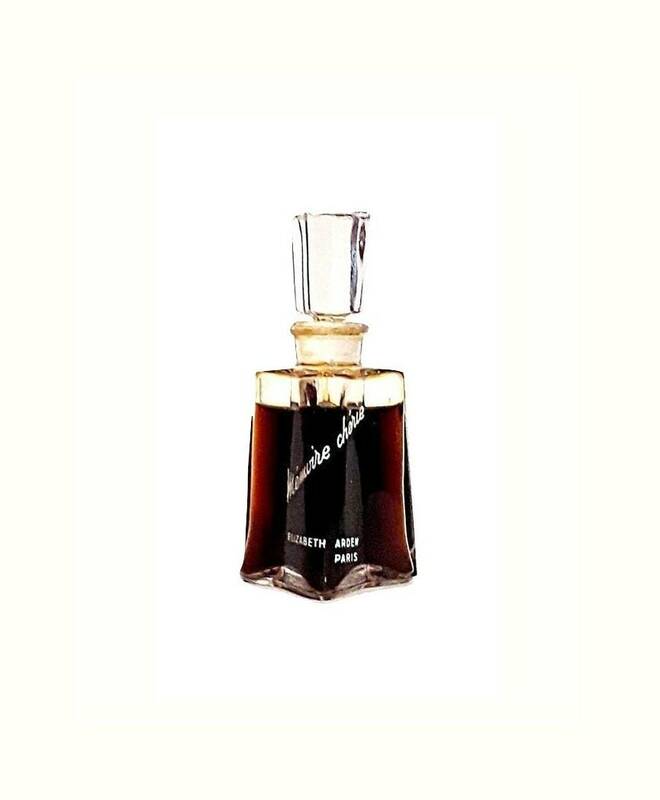 It is classified as a floral powdery aldehydic fragrance for women with refreshing woodsy notes. It starts with a fresh aldehydic top, followed by a sweet floral heart, resting on a warm, powdery, mossy base. The perfume was discontinued sometime in the early to mid 1980s. I could only find advertisements for the fragrance up until 1980.